A dynamic leader and a visionary banker, Mr. Syed Waseque Md Ali has been appointed as the Managing Director of First Security Islami Bank Limited. Prior to this appointment, he was working as Managing Director (Current Charge) of the Bank. Mr. Ali, a seasoned banker having more than 32 years of extensive and versatile banking experience with diversified, welfare and next generation banking business, began his banking career with IFIC Bank Ltd. in 1983 as Officer and stayed there till 1996. Afterwards, he served Dutch-Bangla Bank Ltd. for about a decade till 2008 and in the same year he joined First Security Islami Bank Ltd. as Senior Executive Vice President and was promoted to Deputy Managing Director in October 2011. Mr. Ali has obtained his Bachelor Degree in commerce and an MBA. During his long Banking Career, he has undergone various training and participated in many multifaceted professional and international seminars, workshops & symposiums on Banking and Finance both at home and abroad. Mr. Ali was President of Rotary Club of Dhaka North and presently serving as Convener of Gulshan Society Zone-6, Dhaka, also a life member of Gulshan Society, Gulshan Youth Club, Gulshan Health Club, Gulshan Central (Azad) Mosque, Dhaka and associated with a number of institutions and communities. Mr. Md. Mustafa Khair has been promoted as Deputy Managing Director of First Security Islami Bank Ltd. Prior to the promotion as Deputy Managing Director he was working as Senior Executive Vice President (SEVP) of the Bank. Mr. Md. 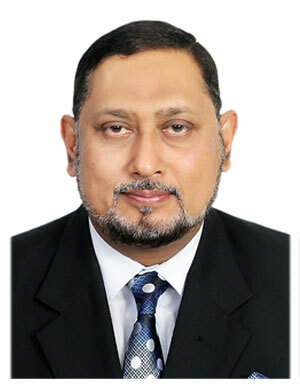 Mustafa Khair having a B.Com (Honours) in Finance and M.Com in Banking from University of Dhaka joined First Security Islami Bank Ltd. as Senior Vice President (SVP) in 2006. He started his Banking Career at Bangladesh Shilpa Rin Sangstha (Presently Bangladesh Development Bank Limited) in March 1989. He also worked International Finance Investment and Commerce Bank Limited (IFIC Bank) in November 1989. Then he joined Dutch Bangla Bank Limited in March 1998 as Assistant Vice President. He has got nearly 26 years of banking experience and developed a wide range of expertise in banking. Mr. Md. Mustafa Khair served as Manager of Dhanmondi Branch, Banani Branch, Gulshan Branch and as the Head of Marketing & Development Division, Head Office of First Security Islami Bank Ltd. in his wide banking Career. During his elongated Banking Career, he has undergone various training and participated in seminars, workshops & symposiums on Banking and Finance both at home and abroad. Mr. Md. Zahurul Haque has been promoted as Deputy Managing Director of First Security Islami Bank Ltd. Prior to the promotion, he was Senior Executive Vice President (SEVP) of the Bank. He obtained B.com (Honors) in Accounting and MBA degree. 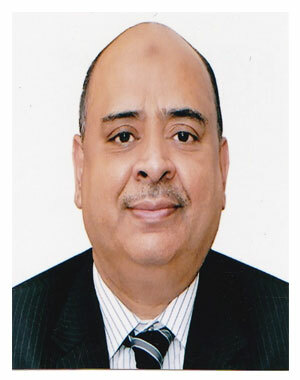 Mr. Haque joined at First Security Islami Bank Ltd. as Senior Assistant Vice President (SAVP) in 2005. He started his Banking Career at Rupali Bank Ltd. as Probationary Officer. He has a long track of banking experience. Mr. Haque served the bank as Head of Investment Division, Head Office for a long time in his wide banking career. He attended at many workshops, trainings and seminars at home and abroad extensively.